Today's cutting-edge, rigorous and relevant career and technical education (CTE) prepares youth for a wide range of high-wage, high-skill, high-demand careers. ​Click here for a quick list of detai​ls about Berrien County Programs. The Agriscience and Natural Resources program gives students the opportunity to participate in the planting, fertilizing, harvesting and marketing of farm products. Students learn about natural resources, plant science, bio-technology, landscaping design, floriculture, sales, marketing, customer relations and mechanical maintenance/repair. American farmers, ranchers, and agricultural managers direct the activities of one of the world's largest and most productive agricultural sectors. They produce enough food and fiber to meet the needs of the United States and produce a surplus for export. Farmers and ranchers own and operate mainly family-owned farms. Responsibilities of farmers and ranchers range from caring for livestock, to operating machinery, to maintaining equipment and facilities. Incomes of farmers and ranchers vary greatly from year to year because prices of farm products fluctuate depending upon weather conditions and other factors that influence the quantity and quality of farm output and the demand for those products. CAREER OUTLOOK: The median annual wage of farmers, ranchers, and other agricultural managers was $69,620 in May 2017. The median annual wages of agricultural and food science technicians were $39,910 in May 2017. 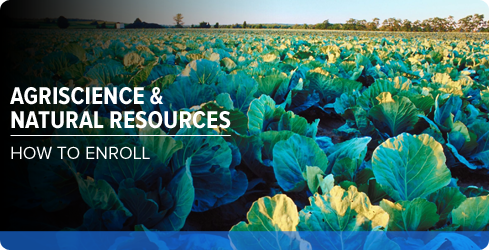 The median annual wages of agricultural and food scientists were $62,910 in 2017. Students have the opportunity to develop and improve strength and flexibility, coordination, accuracy of movement, leadership and social skills, self-confidence, experience performing, and overall appreciation of dance. They will explore a variety of movement styles and techniques, such as ballet, modern, jazz and tap. Students will also be introduced to dance history, elements of composition and basic anatomy that applies to dance. Intermediate Dance will further study the skeletal alignment of the dancer's body placement, and student's work will enhance proper execution of advanced movement with a more mature quality. In addition, there is an in-depth study in choreography, more experienced performing, and the opportunity to take part in producing and organizing a dance concert. The Advanced Dance Class is a two hour block for two semesters designed to improve strength and flexibility, accuracy or movement, leadership and social skills, self-confidence, experience performing, and an appreciation of dance. Students further study the skeletal alignment of the dancer's body placement and are working to enhance proper execution of movement with a more mature quality. Students in this class already have the mechanics of dance and are challenged to develop their technique on a more experienced level. Along with studying the same variety of dance technique, this class will also learn the history of dance and nutrition; in addition, there is a more in-depth study in choreography, more experience performing, and the opportunity to take part in organizing a dance production. An audition is required before enrollment. CAREER OUTLOOK: Dancers perform in a variety of settings, such as musical productions, and may present folk, ethnic, tap, jazz, and other popular kinds of dance. Many dancers combine performance work with teaching or choreography. Many dancers work with choreographers, who create original dances and develop new interpretations of existing dances. Most dancers begin formal training at an early age-between 5 and 15-and many have their first professional audition by age 17 or 18. Median annual earnings of salaried dancers were $21,100 in 2002. Median annual earnings of salaried choreographers were $29,470 in 2002. The CISCO Academy is an alliance between CISCO Systems, academy curriculum sponsors, private institutions, education, business, government and communities. This program trains students to build and maintain network systems and prepares them for the demands and opportunities of the information economy. Students who successfully complete this program and their Certified CISCO Network Academy (CCNA) certification will be on their way to a high tech career in network administration. CAREER OUTLOOK: Network or computer systems administrators design, install, and support an organization's LAN (local-area network), WAN (wide-area network), network segment, Internet, or intranet system. They provide day-to-day on site administrative support for software users in a variety of work environments, including professional offices, small businesses, government, and large corporations. They maintain network hardware and software, analyze problems, and monitor the network to ensure its availability to system users. Computer support specialists and systems administrators are projected to be among the fastest growing occupations between 2016 & 2026. Median annual earnings of network and computer systems administrators were $81,100 in 2017. Ever wonder how to create your own game? Adobe Flash is a great piece of software with which to do this! Students will learn how to create and work with animation. We will also look at what it takes to create an APP and a brief introduction to programming. Websites are the second key topic we will cover. Adobe Dreamweaver, which is the industry-leading web authoring and editing software, will be the main software that you will learn; however, we will explore other options out on the web too. Three incredibly creative pieces of software from Adobe will be used to generate illustrations, enhance and modify graphics (and photography), and combine all elements to create newsletters, brochures, flyers, and much more! Students will also create their own designs for t-shirts and then use the heat press machine to actually produce the t-shirts. The software the students will learn are Adobe Illustrator, Adobe Photoshop, and Adobe InDesign. CONTENT AREAS: Computer software programs including Adobe Dreamweaver, Photoshop and InDesign. Multimedia artists and animators create animation and visual effects for television, movies, video games, and other forms of media. CAREER OUTLOOK: Employment of web design and multimedia is projected to grow 27 percent from 2014 to 2024, much faster than the average for all occupations. Online purchasing and marketing is expected to grow faster than the overall retail industry. As retail firms expand their online offerings, demand for web developers and online multimedia will increase. In addition, an increase in the use of mobile devices to search the web will lead to an increase in employment of web developers. Instead of designing media for a desktop computer, developers will have to create multimedia that works on mobile devices with many different screen sizes, leading to more work. Median Pay in 2017 according to BLS.gov was $70,530 per year and $33.91 per hour with typical entry level requirements being an associate’s degree. Sports Management is a business degree specialized for managing sports- and recreation-related operations. It encompasses a variety of applications within the growing field of sports and recreation. The CTE course provides students with up to 24 credits towards their AS in Sports Management. Associate in Applied Science in Sports Management provides students with the knowledge and skills they need for entry level positions in facility and event management, sports and recreational programming, athletic coaching, parks and recreation, minor league sports sales and marketing, sports media and more. The degree is designed to transfer into Sports Management programs at Michigan four-year colleges and universities, which will further students’ knowledge and employment opportunities. Students in SMC’s Sports Management program will develop professional aptitude, study basic business and management practices, and gain a solid introduction to the field of sports management. They’ll also learn skills essential for career advancement such as networking and professionalism. All students complete a practicum in which they will gain real world experience working in a sports or recreation operation. Graduates will also have levels 1-3 certification in Michigan High School Athletic Association Coaches Advancement Program. CONTENT AREAS: Managing professional and collegiate sports teams, sales, marketing, and public relations for sports teams or agencies, player coaching, scouting and representation, stadium operations, sports merchandising, travel and event planning, sports and recreation programming, sports journalism, field maintenance, prep, and conversion, ticket sales, fundraising. CAREER OUTLOOK: According to the 2017-18 Occupational Outlook Handbook from the U.S. Bureau of Labor Statistics (BLS), the median national annual salary for an agent or business manager of artists, performers and athletes was $64,940. *Expected education level is completion of a bachelors degree. Learn how to take your dream of starting a business and put it into action. In this class, you will get to put your ideas to the test and have the opportunity to start earning money! You'll begin by discovering the tricks to picking the right opportunity for you. Since every business needs money, we'll discuss traditional and nontraditional financing options. Finally, you'll learn easy-to-implement employee-management procedures and how to write business policies that help you build your business. Once you have wrote a business plan and developed your product or service, you will put your idea into action and become a business owner. CONTENT AREAS: As an entrepreneur, you will manage your business with the hope of turning a profit. To become an entrepreneur, you need to be able to develop original, innovative products and ideas, and identify where business opportunities exist. This class is for people who are serious about becoming a professional automobile, truck or heavy equipment mechanic. This class is a continuation of the Automotive Technology course. Students will continue to do classroom study and in the shop hands-on work in the process of working towards the completion of all tasks required to meet the new national standards set by NATEF for “Maintenance & Light Repair”. This course satisfies the Fine Arts requirement of the Michigan Merit Curriculum. When taken in the senior year, this class fulfills the senior math requirement. Buchanan High School’s Automotive Technology program is certified by NATEF the National Automotive Technicians Education Foundation. Go to www.natef.org for more information. CONTENT AREAS: Engine Repair, Automatic Transmissions, Brakes, Suspension, HVAC, Manual Drive Train, Oil Changes and Electrical Systems. CAREER OUTLOOK: Employment of automotive service technicians and mechanics is projected to grow 5 percent from 2017 to 2024, about as fast as the average for all occupations. The number of vehicles in use continues to rise, and more entry-level service technicians will be needed to perform basic maintenance and repair, such as replacing brake pads and changing oil. New technologies require mechanics to be up-to-date on current changes in the automotive industry. With some employers reporting difficulty finding workers with the right skills and education, job opportunities for qualified applicants should be very good, whether they obtained their knowledge through education or experience. Of these workers, those who have completed formal training programs or achieved ASE certification should enjoy the best job prospects. Many job openings will be in automobile dealerships and independent repair shops, where most service technicians currently work. According to BLS.gov the median salary in 2017 was $39,550. Note: The New Buffalo program is a house-building program. Transportation is not provided to New Buffalo. The Construction Trades program prepares students with the skills necessary to work in the construction field building residential and light commercial buildings. CAREER OUTLOOK: Construction laborers perform a wide range of physically demanding tasks involving building and highway construction, tunnel and shaft excavation, hazardous waste removal, environmental remediation, and demolition. Although the term "laborer" implies work that requires relatively little skill or training, many tasks that these workers perform require a fairly high level of training and experience. Job opportunities should be good. Like many other construction occupations, employment opportunities are affected by the cyclical nature of the construction industry and can vary greatly by State and locality. Median annual earnings of construction laborers in 2017 was $33,450; however, the median annual earnings of a construction manager in 2017 was $91,370. This course is designed for those students who have a serious desire to increase their skills in woodworking. Students will design their project using a computer-aided drafting program and organize project information on a computer-generated spreadsheet. Much attention will be given to good design, the use of fine woods, and the development and appreciation of excellent craftsmanship in construction and finishing. CAREER OUTLOOK: Despite the development of sophisticated plastics and other materials, the demand for wood products continues unabated. Helping to meet this demand are woodworkers. Woodworkers are found in industries that produce wood, such as sawmills and plywood mills; in industries that use wood to produce furniture, kitchen cabinets, musical instruments, and other fabricated wood products; or in small shops that make architectural woodwork, furniture, and many other specialty items. Employment of woodworkers is projected to grow 18 percent from 2010 to 2020, about as fast as the average for all occupations. Those who have advanced skills, including in mathematics and computers, should have the best job opportunities in manufacturing industries. Median hourly earnings of cabinet makers and bench carpenters were $14.83 in 2017. The Computer-Aided Drafting (CAD) program prepares students with the skills necessary to translate engineering/architectural ideas into working drawings. All drafting is accomplished on personal computers as students prepare for the job market by learning to become detailers, drafters, or technicians specializing in mechanical, manufacturing, architectural, or civil engineering. Students receive training on a number of CAD software applications currently being used by the industry. CAREER OUTLOOK: Drafters prepare technical drawings and plans used by production and construction workers to build everything from manufactured products, such as toys, toasters, industrial machinery, and spacecraft, to structures, such as houses, office buildings, and oil and gas pipelines. Demand for particular drafting specialties varies geographically, depending on the needs of local industry. The median annual wage of drafters was $54,170 in 2017. The engineering course will investigate the different ideas, techniques and strategies used by engineers in creating the amazing things we use every day and the impact they make on our lives. The practical difference between science and engineering will also be investigated. Using the computer lab and manufacturing lab, the student will, through hands-on projects, learn about and then apply the engineering algorithm in 2D and 3D mechanical design techniques, 3D printing, CNC techniques, materials and manufacturing techniques, computer programming, digital sound creation and manipulation, and digital images creation and manipulation. CAREER OPPORTUNITIES INCLUDE: Mechanical Engineer, Architectural Engineer, Nuclear Engineer, Materials Engineer. *Additional education necessary for these career paths. The average median salary for mechanical engineering technicians was $55,360 in 2017; average median salary for architectural engineer was $74,780 in 2017; average median salary for nuclear engineer was $105,810 in 2017; average median salary for materials engineer was $94,610 in 2017. The first semester focuses on technical hands-on experiences in manufacturing. Included will be precision machining, manufacturing graphics, plastics processing and machine building and repair. This course will explore a variety of career opportunities and manufacturing processes, and provide visitation to key local industries. Achievement of selected competencies would qualify the student for entry into precision machining second semester. Manufacturing Academy II will enforce and build on the concepts introduced in the first year of this program. Several options are offered at various sites. Each includes a worksite-based component and placement assistance. Articulation for community college credit will be addressed on an individual basis. CONTENT AREAS: Print Reading and Drafting, Mathematics and Science, Precision Measurement, Careers and Employment and Machine Tool Operations. CAREER OPPORTUNITIES INCLUDE: Computer Control Operator, Machine Setter, Metal Tender or Tool & Die Maker. Manufacturing is no longer marked by the grimy, laborious work of the past. Today, much of the manpower has been replaced with machines. With this evolution comes the need for highly skilled workers capable of designing, running, and maintaining these robots. Mechatronics combines electrical, mechanical, telecommunications, and computer engineering to design and run robotic manufacturing equipment. A mechatronics engineer unites these fields to create a simpler, more economical, and reliable manufacturing system. Through the CTE program, students can earn up to 24 credits towards their certificate or associate at SMC’s Mechatronics program. Content Areas: Live industrial robots, Fanuc robots, Human-Machine Interface (HMI) and Programmable Logic Controllers (PLC), hydraulics, pneumatics, and welding, as well as networked controllers and interactive web-based asset management. Digital principles are presented in the context of programmable logic devices and microcontrollers. Career Opportunities: The average median salary for Mechatronics Technicians was $56,740 in 2017. This class is designed for the student who has a genuine interest in learning welding as a part of his/her future occupation. Many areas of welding, including oxyacetylene, electric arc, MIG, and TIG will be taught. Manual and automatic flame cutting will also be included. Primary emphasis will be on job entry skills. CAREER OUTLOOK: Welding is the most common way of permanently joining metal parts. In this process, heat is applied to metal pieces, melting and fusing them to form a permanent bond. Automated welding is used in an increasing number of production processes. In these instances, a machine or robot performs the welding tasks while monitored by a welding machine operator .Job prospects should be excellent. The median annual wage of welders, cutters and braziers was $40,240 in 2017. Students will explore major medical occupations and receive certification in CPR (AHA)/First Aid (ARC). Additional certificates of competency can be acquired in Automated Electronic Defibrillator (ATC) and a second certificate in CPR (AHA)/First Aid (ARC) both endorsed by Lakeland Medical Systems and Career Technical Education. A theory is enhanced by laboratory experiences in a well-equipped classroom and clinical visitations at Lakeland Medical Centers. A certificate of competency is awarded upon completion of the program that can lead to employment as a multi-skilled (acute care) patient assistant or nursing assistant (long-term care). Upon endorsement of the instructor, students have an opportunity to earn credits from Lake Michigan College. Career Opportunities: Registered Nurses (RNs) work to promote health, prevent disease and help patients cope with illness. Hospital nurses form the largest group of nurses. Most are staff nurses, who provide bedside nursing care and carry out medical regimens. They also may supervise licensed practical nurses and nursing aides. More new jobs are expected to be created for registered nurses than for any other occupation. Job opportunities are expected to be very good. The median annual wage of registered nurses was $70,000 in 2017, and the median annual wage for nursing aides, orderlies, and attendants was $27,510 in 2017. The Professional Health Careers Academy program introduces high school juniors and seniors to professional health careers through both course work and rotating internships in area healthcare facilities. It is a partnership between the Spectrum Health (Lakeland Regional Health System), Lake Michigan College, Western Michigan University, the PA 56 Consortium and the Berrien County Regional Education Services Agency. Content Areas: Medical Ethics, Safety (CPR, Infection Control), Medical Terminology, Body Structure and Function, Assessment Procedures, Legal Responsibilities, Human Anatomy Emergency Procedures, and Policies and Procedures. Career Opportunities: Health Care Administrator, Medical Technologist, Mental Health, Physician, Pharmacist, Paramedic, Radiology Technologist or Registered Nurse. The Sports Medicine program assists students in career exploration and a mastery of basic injury care skills. The course provides students with a combination of classroom instruction and clinical experience that leads to career exploration in various sports medicine fields. Students learn the skills needed to provide basic injury care skills in their area of interest. CONTENT AREAS: Injury Prevention, Management of Athletic Injuries, Sports Medicine Careers, Rehabilitation of Athletic Injuries, Anatomical Structure and Related Injuries, Biomechanics of Sports. CAREER OUTLOOK: Physical Therapists (PTs) provide services that help restore function, improve mobility, relieve pain, and prevent or limit permanent physical disabilities of patients suffering from injuries or disease. They restore, maintain, and promote overall fitness and health. All states require physical therapists to pass a licensure exam before they can practice, after graduating from an accredited physical therapist educational program. Employment is expected to increase faster than the average, as growth in the number of individuals with disabilities or limited function spurs demand for therapy services. The median annual wage of physical therapists was $86,850 in 2017. This program provides an opportunity to earn emergency medical technician and specialist certificates. Courses are college level and the student must earn a grade of “C” or better on all tests/homework, dress as required by clinics and complete 32 hours of clinical work with local ambulance service and hospitals (earned concurrently with class). Information and paperwork will be provided to register in the National Registry and to make reservations for the state examination. Career Opportunities Include: Emergency Room Technician, Emergency Medical Technician, Medical First Responder, and Paramedic. The median annual wage of EMT's was $33,380 in 2017. Students enrolled in Fire Fighting I & II will become part of the Berrien Springs Oronoko Fire Department Cadet program. Cadets must be at least 16 years old and have a medical release form for emergency medical treatment. Cadets will be issued full personal protective equipment along with training manuals. This is a half-day program that includes more than 225 hours of state mandated training and testing. Students who successfully pass all written and authentic testing will become state certified in Fire Fighting I & II upon reaching their 18th birthday and membership in a fire department. This certification is valid for employment anywhere in the state of Michigan. CAREER OUTLOOK: Firefighters help protect the public against these dangers by rapidly responding to a variety of emergencies. They are frequently the first emergency personnel at the scene of a traffic accident or medical emergency and may be called upon to put out a fire, treat injuries, or perform other vital functions. Intense competition for jobs is expected. Employment of firefighters is expected to grow by 9 percent. Physically fit applicants with high test scores and some postsecondary firefighter education and paramedic training should have the best prospects. The median annual wage of firefighters was $49,080 in 2017. *This course may be available for college credit through LMC. This class will expose the student to three college level criminal justice curriculum classes offered in conjunction with Lake Michigan College and directed at the advanced student. Introduction to Criminal Justice (lawe140) is the first class studying the agencies of social control that handle criminal offenders. The agencies include law enforcement, criminal courts, and corrections. The second class is Criminology (lawe144). Criminology is the study of the origin, extent and nature of crime in society and studies different views of why individuals commit criminal acts as well as theories of crime causation, crime topologies, and the criminal justice system. The third class is entitled, Seminar in Criminal Justice and Public Safety (lawe251). The seminar class discusses current topics/problems in criminal justice and public safety areas. Special issues are discussed and qualified students are assigned to agencies or departments as interns in the criminal justice system. Courses in CPR and Emergency First Aid are incorporated into this program of study. In addition to the academic setting, students participate in field trips and will experience guest lectures in each field of study. With the cooperation of the law enforcement community, students also receive hands on courses in basic crash reconstruction and crime scene investigations. This class gives excellent exposure to students that are interested in further knowledge of, or a career in, the criminal justice field. Students may obtain up to 11.5 credit hours of direct credit for this course of study through Lake Michigan College. CAREER OUTLOOK: Uniformed police officers who work in municipal police departments of various sizes, small communities, and rural areas have general law enforcement duties including maintaining regular patrols and responding to calls for service. They may direct traffic at the scene of a fire, investigate a burglary, or give first aid to an accident victim. Competition should remain intense for higher paying jobs with State and Federal agencies and police departments in affluent areas; opportunities will be better in local and special police departments that offer relatively low salaries or in urban communities where the crime rate is relatively high. The median annual wage of police and detectives was $62,960 in May 2017. The median annual wage of probation officers and correctional treatment specialists was $51,410 in 2017. This course utilizes materials developed by the National Restaurant Association. The Hospitality Services program emphasizes entry-level hospitality tasks to meet the needs of students' IEP's and employability skills training. CAREER OUTLOOK: Food services and drinking places may be the world's most widespread and familiar industry. These establishments include all types of restaurants, from casual fast-food eateries to formal, elegant dining establishments. The food services and drinking places industry comprises about 479,000 places of employment in large cities, small towns, and rural areas across the United States. Job opportunities will be plentiful because the large number of young and part-time workers in the industry will generate substantial replacement needs. Earnings in food services and drinking places usually are much lower than the average for all industries. The median hourly wage (including tips) of waiters and waitresses was $10.01 in May 2017. The median hourly wage of food and beverage serving related workers was $9.81 in 2017.